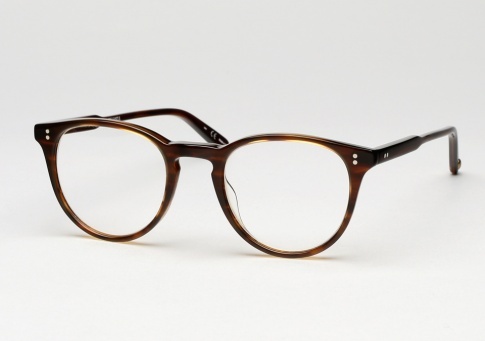 Garrett Leight Milwood - Brandy Tortoise + Clip (Eye) Need Help? The Milwood optical with clip-on lenses offers you the best of both worlds. A well-refined unisex eyeglass that is extremely versatile. Simply pop on the foldable metal clips and just like that you have a classic pair of shades that can be worn on almost any occasion. For those familiar with Garrett Leight’s Hampton and Kinney models, the Milwood fits somewhere in between. We find it is flattering to almost everyone that tries it on. Also worth noting, in addition to the standard GLCO frame case and packaging, the clip-on lenses also come in their own specially designed compact leather pouch for easy transport and storage. A very nice touch.